The vast majority of parenting arrangements are created by agreement of the parents. It is therefore critical that mediators, as the professionals that facilitate parenting negotiations, remain knowledgeable about the current research on the effects of different parenting plans on families and children. Towards this end, two OMA Board members met with and interviewed Dr. Donald Hubin, the Ohio affiliate of the National Parents Organization. Dr. Hubin directed us to recent research on the effects of shared parenting arrangements, and encouraged us to share this research with you. 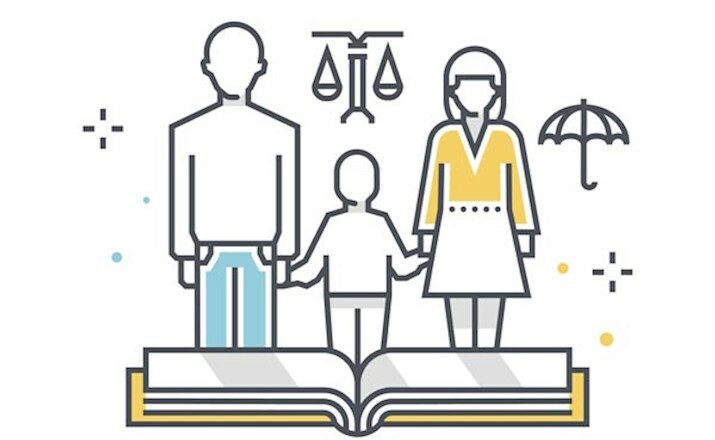 As described below, this research presents a scientific consensus on the benefits of shared parenting as compared to sole custody parenting arrangements. First, in the early stages of child development, having a stable relationship with each parent increases a child’s odds of forming secure attachments. The benefits of attachment theory are supported by research comparing the child’s attachment to each parent at 15 months to the behavior of the same child at age 8, and showing that at least one stable relationship produce better behavior in later childhood. An interesting note from this research is that it did not matter whether the stable relationship was with the mother or the father. Experts on parenting also note that mothers and fathers each provide some unique contributions to child development. These and another data undermine the assumption that young children should spend maximum time with one parent. Second, Dr. Hubin notes that children experience the loss of a relationship as a traumatic event. Research on parenting notes the troubling effect of one parent dropping out of the child’s life when provided an unsatisfactorily small amount of parenting time. Empirical research also indicates that majority of fathers and children want parenting plans that are closer to equal time than alternating weekends with a midweek non-overnight. Analysis of American parents who are living together finds that average parenting responsibilities are divided 64% to the mother and 36% to the father (or a little less than 2.5 days per week for the father and a little more than a 4.5 days per week for the mother, if divided into distinct days). This may be why there is an emerging consensus among researchers that 33% is the minimum standard amount of parenting time to establish a culturally normal relationship between parent and child. Anything less than the amount of contact established during the parent’s cohabitation could be seen as a loss to the child and nonresidential parent. While there is optimism for the benefits of more equal parenting time, shared parenting arrangements can have negative effects on children if the parent gaining time is violent, neglectful, or mentally ill and/or if either parent directly involves the child in inter-parental conflict. It should be noted that inter-parental conflict may be managed with arrangements that involve fewer exchanges and neutral exchange points (in which the parents do not interact). However, after controlling for other factors, researchers have found that children are more satisfied and better adjusted in shared parenting arrangements, regardless of the levels of inter-parental conflict. While high-conflict parenting is harmful to children regardless of parenting time divisions, it seems that shared parenting arrangements are protective against parental conflict and other harms facing children. This appears to be true even though 80% of shared parenting arrangements reported involved at least one reluctant parent at the outset. The overall finding is that more contact with nonresidential parents creates benefits for children that do not come at the expense of the relationship with the residential parent. After reviewing the research, I would hypothesize that residential parents who push the other parent away put the child through a traumatic loss of relationship that harms that child’s ability to form secure attachments. Greediness by parents at the mediation table may therefore harm their own long-term relationship with the child as well as the emotional, social, and academic outcomes for the child growing up.